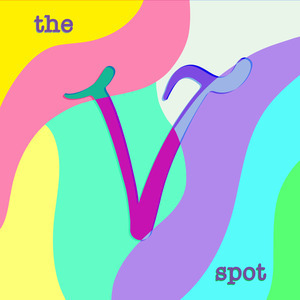 68 episodes of The V Spot: Vegan Podcast since the first episode, which aired on November 10th, 2017. We got back from a bunch of travel and we HAVE to talk about it. The sights, the sounds, the culture, the food. Okay, so mostly the food. Katt was in NYC, a vegan haven, and Dani was in London, the across the pond vegan paradise. We did other stuff than just eat, but who really wants to hear about that, right? I mean this is a food podcast after all. This week we have a super special guest, Kiki! She's a long time listener from Wyoming, a vegan baker and chef, and the nicest. She's sent us food and you all know the way to our hearts is through our stomachs. We find out about how she got into the biz, her plots and plans, and an animal shelter we should all try to help out. Not much of an intro needed here. This week we're talking to Julie Anderson from Shark Angels about her documentary Shark Water and Shark Water Extinction. There's a lot of crazy stuff we didn't know in this one, and Julie is so very fantastic. We're going to go shark diving now. Bye! This week Dani and Katt have the pleasure of chatting with Maya Gottfried, vegan author! We find out her vegan origin story, talk sanctuaries, and a whole lot about vegan love and dating. This one is a helpful-cast. Enjoy! Since we broke Andy last week, and there's been more news on the topic, we're just going full bore at vaccines and medicine. We aren't doctors and we don't play one on a podcast. There's some pop culture in here too, and Andy's premiere of Science Corner. This week it's talking about a couple of things. When vegans stop being vegan, why? And how to still be cool even if you stop being vegan. Also... if you stopped being vegan, what would you do? The ladies reminisce about food long gone and things we just can't have anymore. Also a 'pop culture' moment does the unthinkable: ends the silence of Andy. I mean the title kind of says it all. We talk to the one, the only Victoria Moran of Main Street Vegan about books, becoming a vegan, and the documentary she's producing! She's an absolute delight and a joy to listen to. We've also got some fairly uplifting pop culture and a touch of food to keep it true to form! So this one is thoroughly in the ISH category. Dani and Katt kind of get off on a REAL cat tangent. But they're our furry housemates that we love so that counts right? Housemates who just terrorize the podcast time with sounds and scurrying. Other important questions: Where are Winnie the Pooh's pants? What is baguette locomotion? This week Katt is LIVE from Las Vegas for a work trip, but Dani is just back from driving in a U-Haul for two days. The topics are all sorts of relevant to what's happening in the world this week, with some Pope talk, politics, Superb Owls, and lots of baked treats. Katt goes off on her favorite topic, there's a vegan hotel room, and Beyond for pop culture today. But the main topic - starting on your vegan journey and helping out your friends who might be veg-interested. It's a topic that's long overdue, and maybe this one will actually be helpful! Last week we did a guest spot on someone else podcast! I know, we're kind of a big deal. We went on to another local fav, Everyone I Know, to discuss our pets and their superpowers, our fursonas, and the state of podcast in a round table discussion. It was very silly and the brothers were brilliant! Enjoy and go give them a listen! Jay Z and Beyoncé are using their powers for good! And everyone can now hate them for it. Also Gregg's makes a vegan pastie and the world explodes! Katt get's real passionate about rice for a hot second too. It's a pop culture smorgasbord today, sit down and enjoy. Don't worry, 2019 is going to be 20-FINE-teen. It's time to get together, review how everyones holidays went, pine over cookies, talk pet bathroom habits and read some fan mail. For the main course, New Year's resolution: going vegan for 2019 and how to start. Hi folks! It's the holidays, but we couldn't leave you in high and dry with nothing to listen to. So enjoy this little update on some of the fun we want to have next year and let us know what you want to hear! Thanks for listening in 2018, see you in the last year of the decade!